As America moved into the prosperous postwar years of the 1950s and early 1960s, artists shifted their focus from emotional subjects like war and the nuclear age to commentaries on American prosperity, consumption, and commercialism. 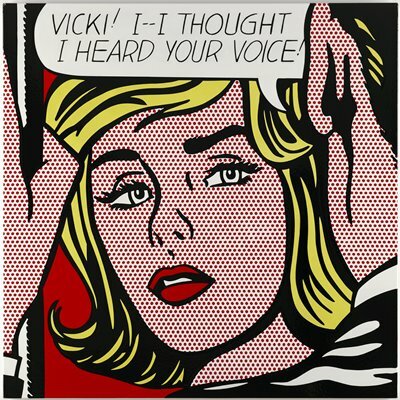 Roy Lichtenstein’s paintings embody this shift. His work first captured the world’s attention in the 1960s with a signature style borrowed from mass culture—particularly comic books and advertising—which brought the look and feel of commercial printing to fine art. 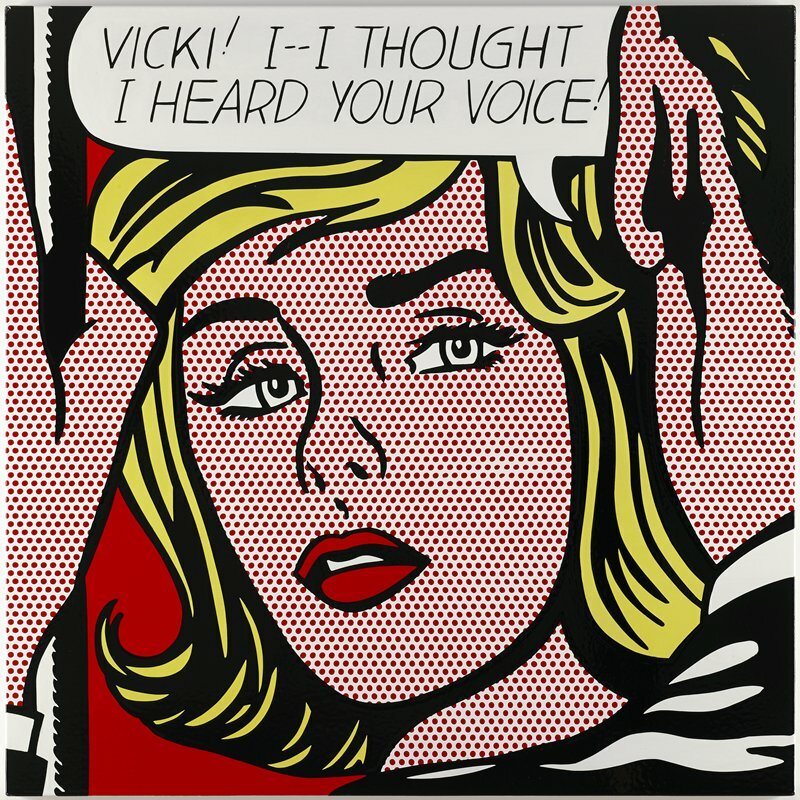 Lichtenstein adapted the imagery and techniques of comic strips: black outlines, stripes, Benday dots, brushstrokes, flat fields, foils, and patterns. Appropriating such imagery from popular culture transformed the artist into a leader of the international Pop art movement along with such artists as Andy Warhol. Vicki! I--I Thought I Heard Your Voice!